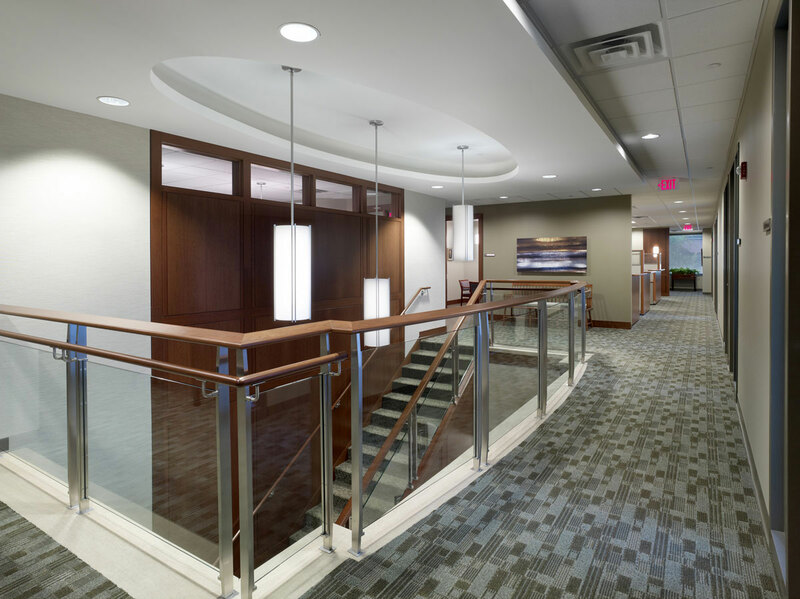 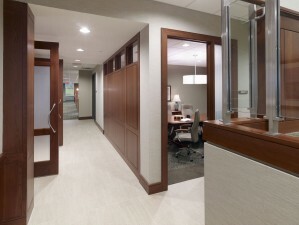 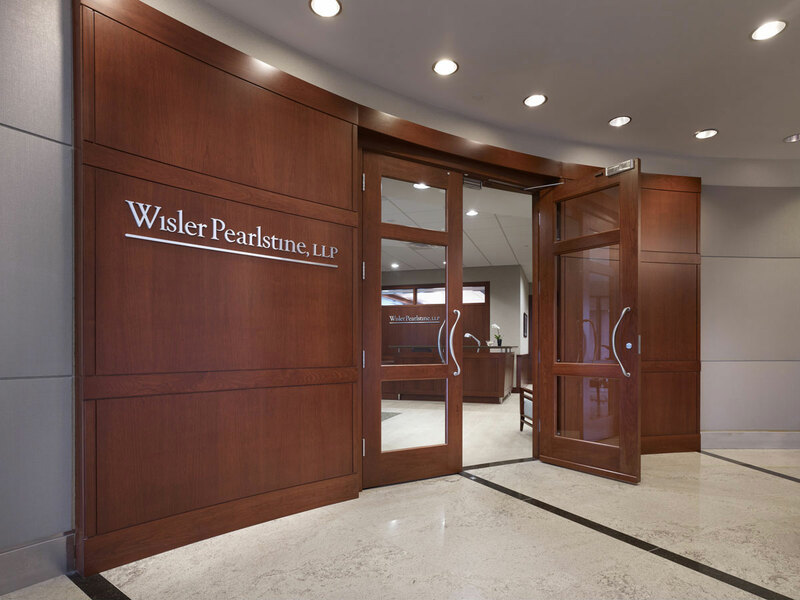 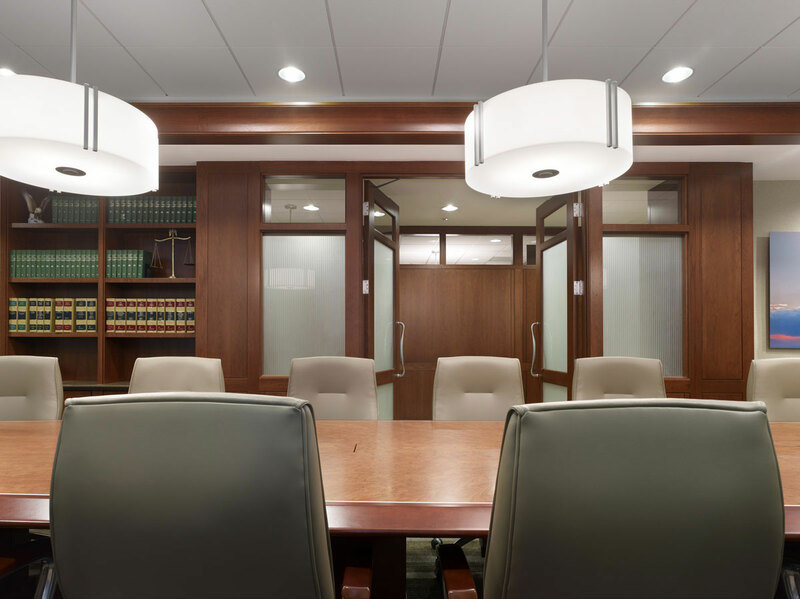 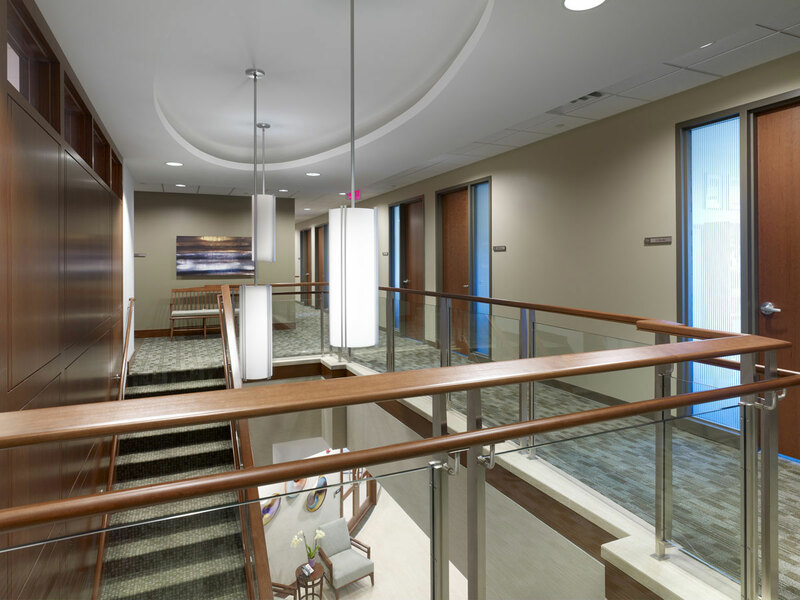 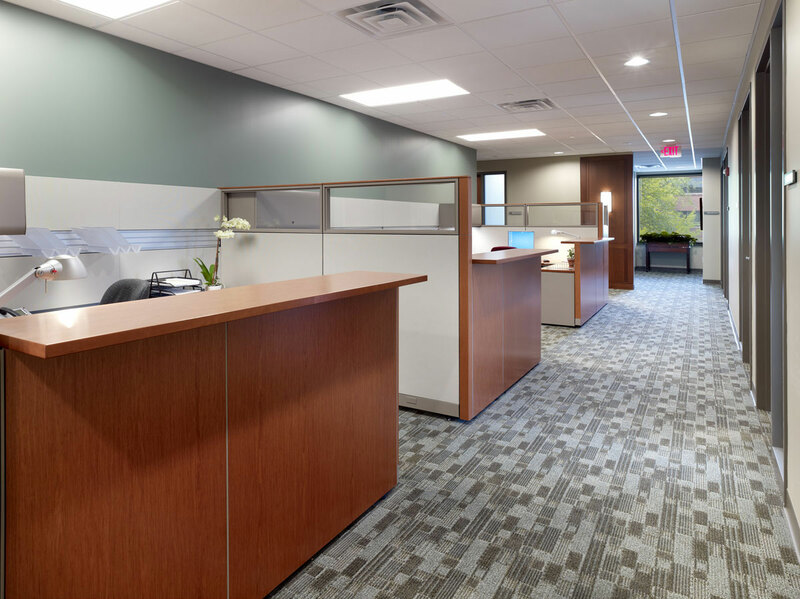 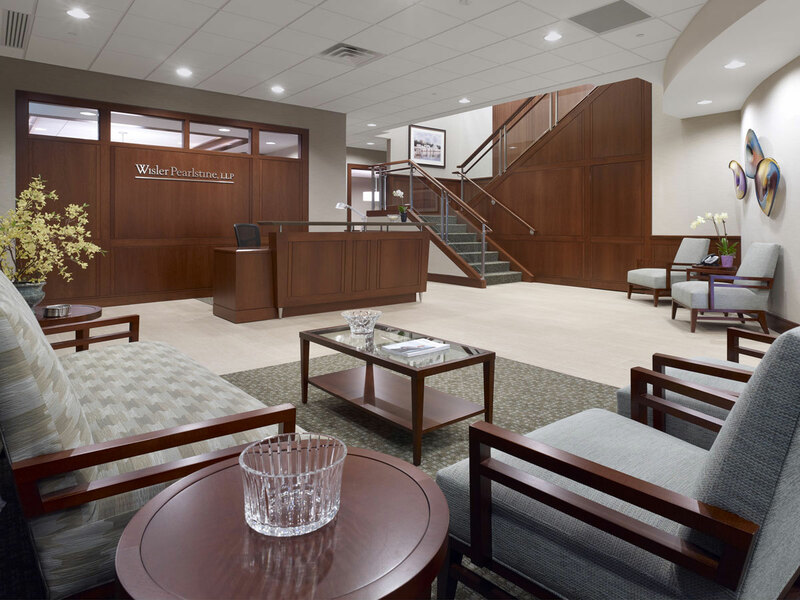 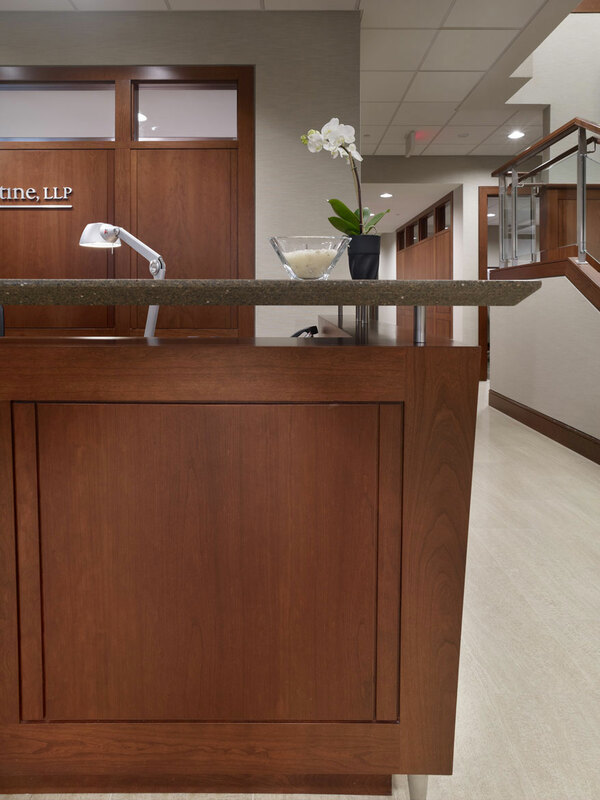 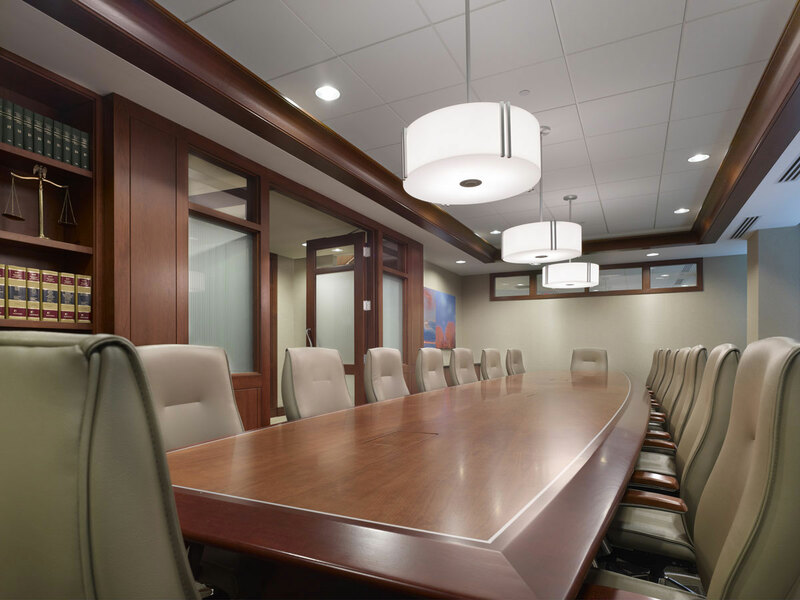 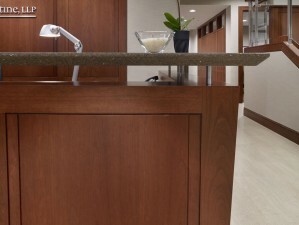 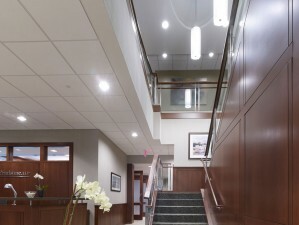 MidAtlantic served as the construction manager for the 18,600 SF high-end law firm suite. The project was constructed in 90 days following a 30 day preconstruction period. 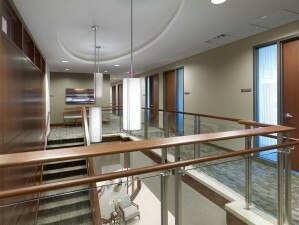 The project included a new ornamental inner-connecting stairwell which greats the firm’s visitors at their main lobby. 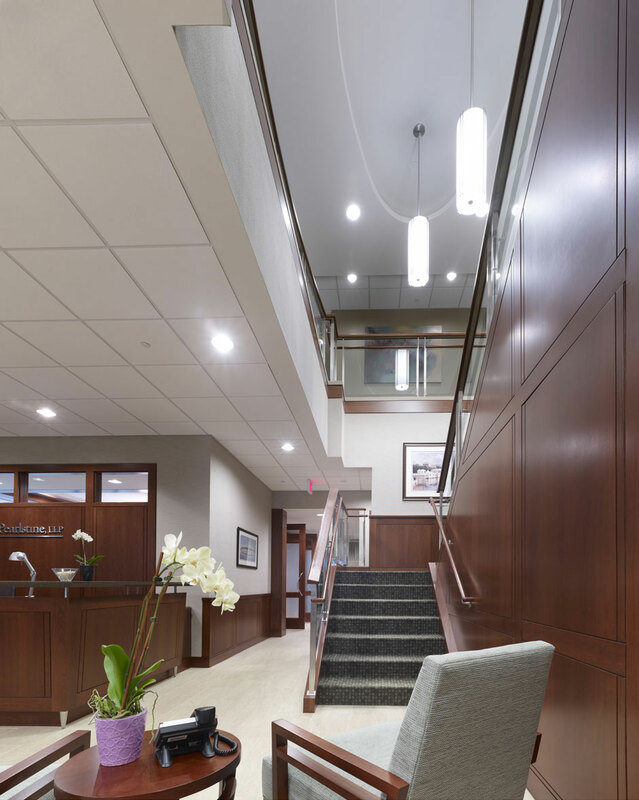 The elegant stair includes glass/stainless steel handrails, wood wall paneling, glass smoke baffles, and a hidden coat closet built into the paneling system. 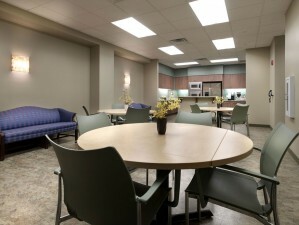 The suite also included decorative meeting rooms, administrative workstations, and upgraded light fixtures throughout.